It’s very easy to clutter your garage up with rubbish – it’s something that occurs in many a home across the UK, and majority of people are guilty of it at some point in their lifetime. Now, with the garage being a multi-functional space with a lot of potential for alternative use, it’s vital that you make sure it is clean, organised and maximises the space. 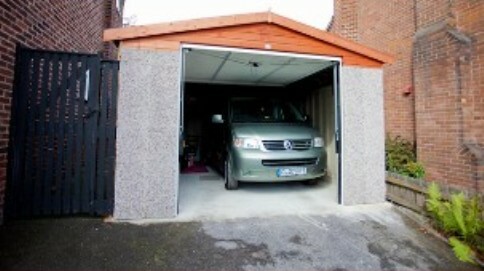 In this article, you will find a list of simple steps to help create space and organise your garage. But if your problems lie further than that, and you have problems with the quality of your garage, be sure to call Dencroft Garages. Their experienced, friendly team will help you with your issues and if it comes to it, supply you with a brand new, top-quality concrete garage. A garage can be a convenient place to dump things you don’t use and therefore don’t want in the house. But with a clean and a bit of organisation, you can transform your concrete garage from a dumping ground to an organised storeroom, increasing your storage space in the meantime. Now, a place where many go wrong is, they just decide to shift the clutter to one side and box all their items up – no, this is not how it should be done. You need to identify what you want your garage to be at the end of all this, and figuring out what type of storage you need in the process. Before you start on any organisation, your garage needs a huge clear-out. It makes things a whole lot easier if you can view the full space with no obstructions, so you can assess the space you have to work with. When it comes to your garage clear-out, you need to be ruthless –if you’ve not used an item in the past year, or won’t use it at all in the future, it needs to go. Even if it has sentimental value, the golden rule stands –if it hasn’t been used in a year, it’s time to clear. The easiest thing to do is to organise your items in to three piles – keep, sell and items which can be recycled or even donated to charity. Once all of your items are sorted in to categories of keep, sell, recycle, you can start to organise your space and think about the storage systems you need. You should apply the same level of thought and planning to the organisation of your garage as you would with the rest of your home. It’s important to plan where things are placed in your garage, it needs to be easy to move around and the space needs to be easily used. Arguably the easiest way to create space in your garage is to add shelving. Whilst installing shelves on to the wall will create space, purchasing a free-standing shelving unit is a lot better as it can hold a lot more weight. The simplest way of storage is to group your items together in to specific categories (camping equipment, sporting equipment etc.) and assign a box to each category, then labelling it. This makes it very easy to access specific items when you need them. For further organisation methods, click here.